When a sailor dies under unusual circumstances, Raiford goes undercover on the high seasThe Rossi family received only a handful of letters after their son shipped out on the supertanker "Aurora Victorious." The first dispatches were from Harold himself, describing the blend of tedium and excitement that defined life onboard the ship. The last communication came from the ship's owners: four brief sentences informing them that their son had died and been buried at sea. Desperate to know more, the Rossis turn to James and Julie Raiford, the father-daughter detective team behind the Touchstone Agency. 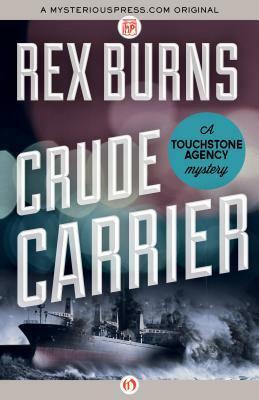 As the Raifords soon learn, work on the open sea is dangerous--and asking questions can be deadly.When the shipping company stonewalls the investigation, James joins the "Aurora Victorious" as an electronics officer, and Julie digs into the proprietors' shadowy background. International oil shipping is a ruthless business, and its secrets run as deep as the ocean itself. This story begins with a family wanting answers into the death of their son, who was on a ship a tanker. They turn to a father daughter team touchstone detective agency. When they go to the shipping company to find out they are stone walled. So they come up with a plan. The father goes aboard the ship as an electric officer, while the daughter will work the case for shore. They come up with a plan for communication but after a short time aboard he is finding out that it is harder than he thought it was going to be. Julie the daughter, starts in New York, but everyone she needs to speak to is coming up missing and when she does find clues it leads her across the Atlantic to England. Here she is still having some problems but a little luck as well. Her father still on the ship is starting to figure things out but they are starting to figure him out as well. A very good book with drama and suspense on both the ship and the land. First time reading this author but found it to be a good story and was surprised at the end. a good book. I got this book from net galley.